There is little I can say about this issue - or indeed the entirety of Grant Morrison's Action Comics run - that I have not said before in part or in whole. As before, Rags Morales, Brad Walker and their respective inkers do a fine job of capturing and displaying the action of Morrison's script, which is a fitting summation to the whole series with a callback to every major storyline. 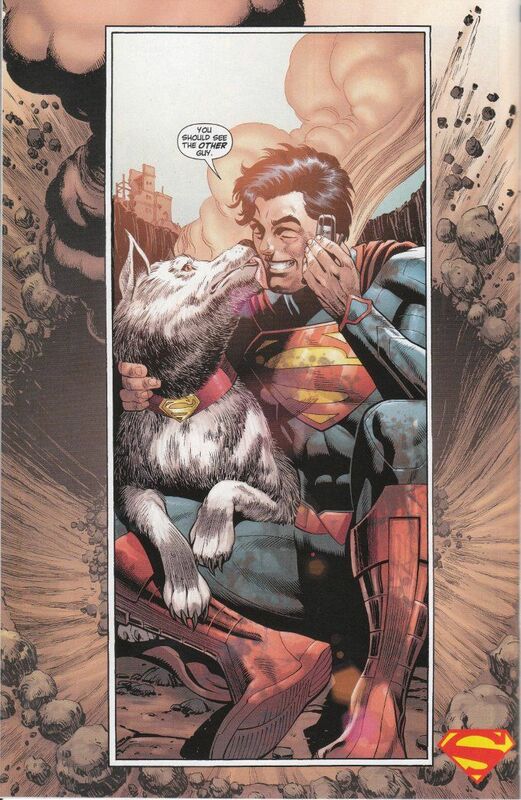 While Morrison's conceit of a battle to destroy Superman fought across five dimensions is a complex bit of writing, it is the simplest images - like a Superboy and his dog victorious - that hit the reader the hardest. Simplicity is also the rule of Never-Ending Battle - the back-up story by Sholly Fisch. Told entirely without spoken dialogue (but not without words), this story set in the 23rd century shows how Superman's example continues to inspire heroism in the most unlikely of places years after his passing. 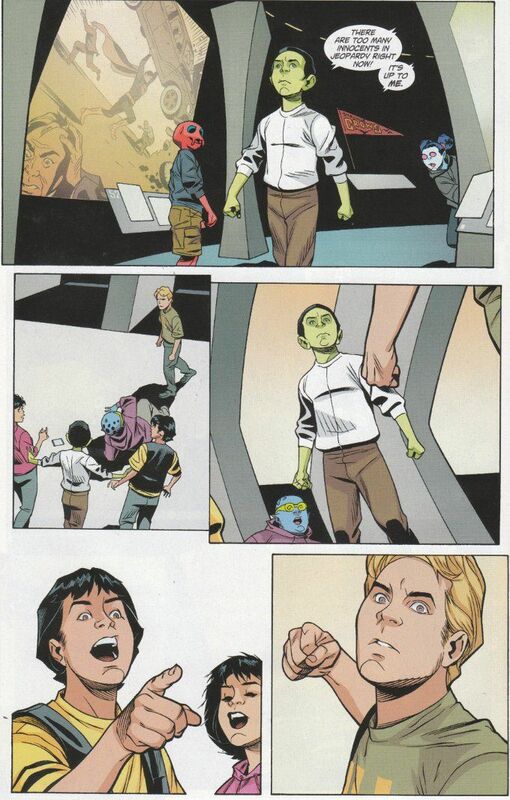 Fisch's subtlety is welcome here, given that social issue comics on subjects like bullying tend to be anything but. The lack of dialogue only adds to the power of the images put forth by Chris Sprouse and Karl Story. This last story alone makes this comic a must-read, even if the larger part of the issue is largely inaccessible to those who haven't been reading Action Comics since the first issue. Never-Ending Battle is Eisner-worthy for how well it captures spirit of heroism - not just in superhero stories, but in the human spirit itself. I'd encourage any comic fan to buy this book. Even if you're not a Superman fan. Especially if you're not a Superman fan.